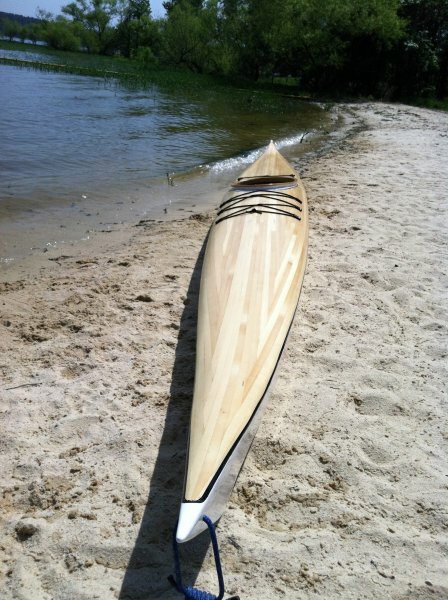 I wanted to share with you a couple photographs of my Night Heron kayak (LOA 18′, beam of 20″), designed by Nick Shade of Guillemot Kayaks . The boat took nearly two years of weekends and evenings to complete, with work proceeding at a glacial pace during some periods. 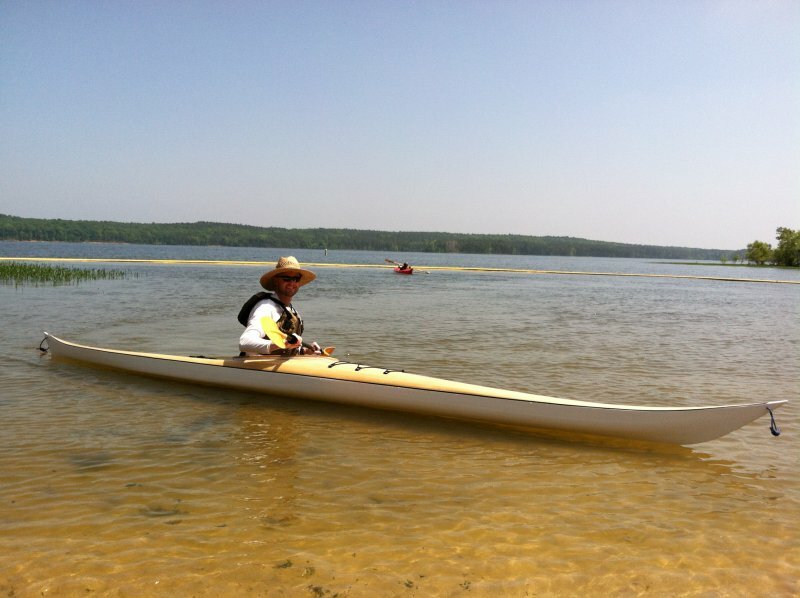 The boat was first launched on a cold, windy day in February, 2012 on Jordan Lake, located in central NC. It performed wonderfully despite the weather conditions and my kayaking skills being a bit rusty. For those of you not familiar with Nick’s designs, it is constructed with thin strips of wood which are then encapsulated in fiberglass and epoxy. For this build I used what was generically referred to as “spruce” from a locally-owned builders’ supply (Fitch Lumber) in Carrboro, NC. All other building supplies came from Chesapeake Light Craft. I decided to paint the hull and cockpit coaming white and leave the hull bright. Final weight of the kayak is in the neighborhood of 43lbs.